DOWN EAST, CARTERET COUNTY — When final selections for the new Kinston minor league baseball team’s name were announced on Sept. 15, folks here were quick to react to the phrase “Down East” included in all five choices. The reaction wasn’t one of support, and despite a petition opposing what’s seen here as community identity theft, a petition signed by more than 1,300 Down East residents, team officials announced their decision Wednesday: The team set to start its first season in 2017 at Grainger Stadium in Kinston will be known as the Down East Wood Ducks. An official logo is to be unveiled later this month. 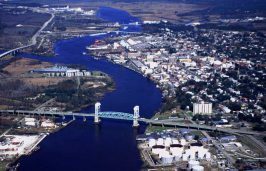 Harkers Island native Karen Willis Amspacher called the decision disappointing for the people of Kinston who love their town, as well as heartbreaking for the “true Down East people” who hold sacred their place in the world. Amspacher was active in starting the petition against naming the team after Down East. “It is an absolute shame that an ill-conceived marketing strategy would outweigh the cries of the people and their deep commitment to their own communities,” Amspacher said Wednesday. The other four finalists in the fan-voted decision to name the Texas Rangers’ Kinston farm team were the Down East Eagles, Down East HamHawks, Down East Hogzillas and Down East Shaggers. Rangers Kinston LLC President Joe Januszewski said Wednesday the chosen name garnered the most votes of any of the options that could be trademarked. 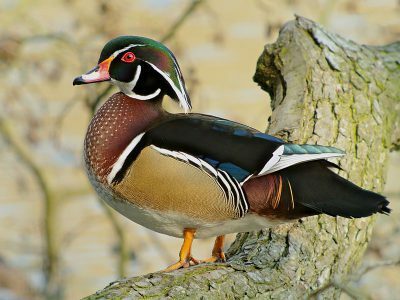 The wood duck, or Carolina duck, has a broad distribution across North America, and ducks in general are the stuff of museums Down East, but ducks aren’t the issue for Down East residents. The Texas Rangers said in September the Down East name for the Class-A Advanced Carolina League team was meant to reflect the broader, regional market. For the unfamiliar, Down East is 13 distinct, tight-knit and unincorporated communities tucked away in a corner of Carteret County, most of which is surrounded by water. 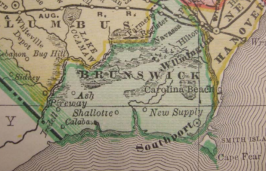 Bettie; Otway; Smyrna; Williston; Davis; Stacy; Sea Level; Atlantic; Cedar Island; Straits; Gloucester; Marshallberg; and Harkers Island are all tied together by bridges and meandering roads. The roads here pass by stretches of marsh, family graveyards, quaint churches, new construction and homes built a century or more ago, small garden plots and the occasional fish house. 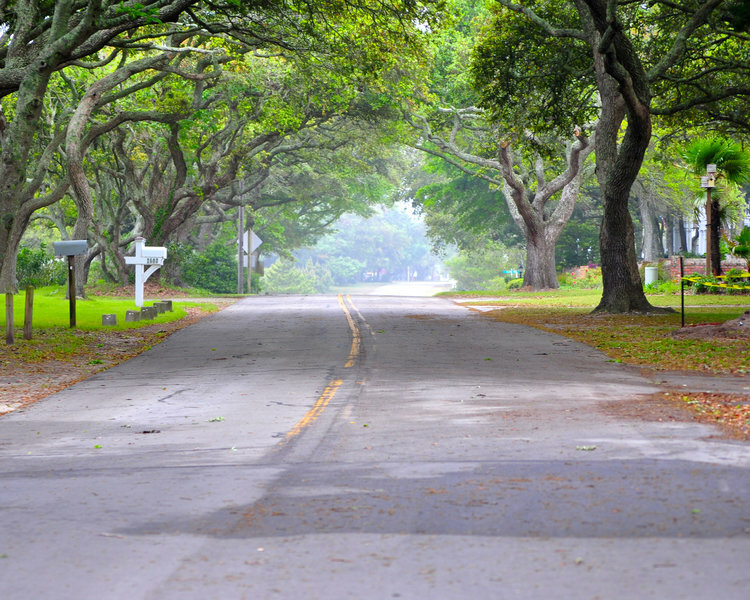 This network of roadways was also recently named a part of the Outer Banks National Scenic Byway, which extends from Whalebone Junction in Dare County to where Down East and Beaufort meet. 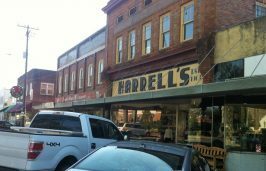 “People who don’t understand the history of the term say everything east of Raleigh is Down East and that is woefully incorrect,” said Rodney Kemp, a former high school teacher and baseball coach, longtime storyteller and Carteret County historian. 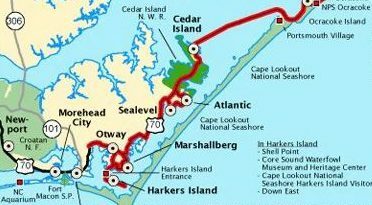 Down East begins at the North River Bridge in eastern Carteret County and extends to Cedar Island, Kemp explained. Kemp is among those with strong feelings about the team’s naming. “Obviously, I feel it would be historically in error for Kinston to use the term,” Mr. Kemp said. Down East is more than just a place name; it’s been home to many generations. Down East is “a place where we help each other – come together when our neighbors, family and friends need help. 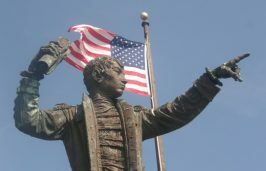 Down East is a lifestyle, which is generally a slower pace than any other place,” said Lillie Chadwick Miller, a Straits native. Along with Amspacher, Miller has also been active in the effort to have Down East dropped from the title. Kinston has its own heritage, including a long history of being home to minor league baseball, with professional teams dating back to 1908. 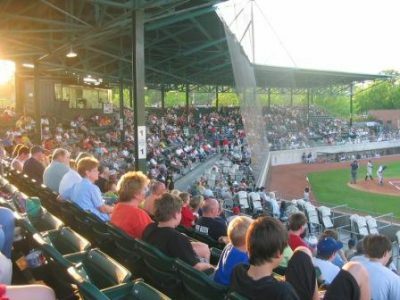 Before the Texas Rangers announced plans to bring professional baseball back to Kinston, the city’s Grainger Stadium, built in 1949, was most recently home to the Kinston Indians, an affiliate of the Cleveland Indians. The team left in 2011 for Zebulon, becoming the Carolina League’s Carolina Mudcats. Bringing back baseball will be a game changer for the town, explained Tony Sears, city manager for Kinston. He said the people of Kinston have genuinely missed baseball being there and have longed for its return. Regarding the inclusion of the name Down East, he said that the city is very supportive of the Rangers and their efforts to be innovative and creative in finding a unique identity for the team. Sears explained that teams in both New York and Louisiana are currently re-branding, and have solicited community input regarding equally unique names for their ball clubs.